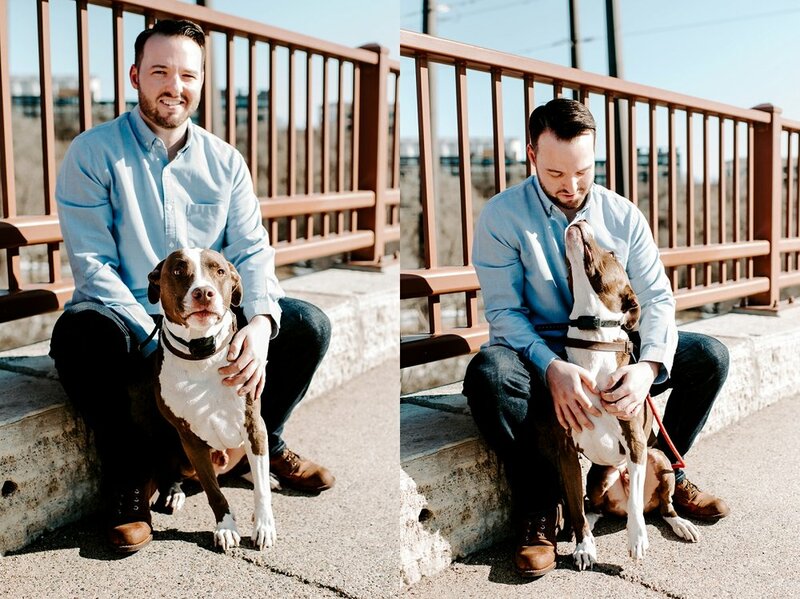 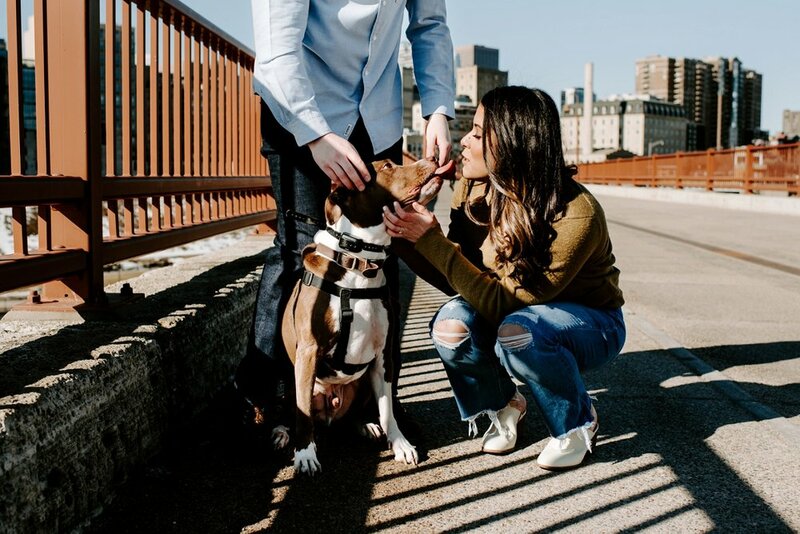 Words cant describe how excited I get when couples want to incorporate their dogs into their engagement sessions. 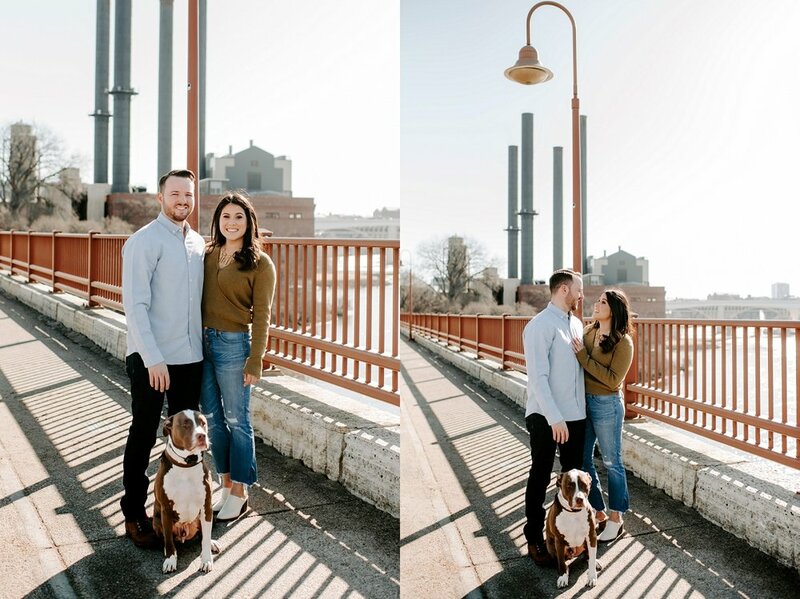 ALLLLL the heart eyes for Beau! 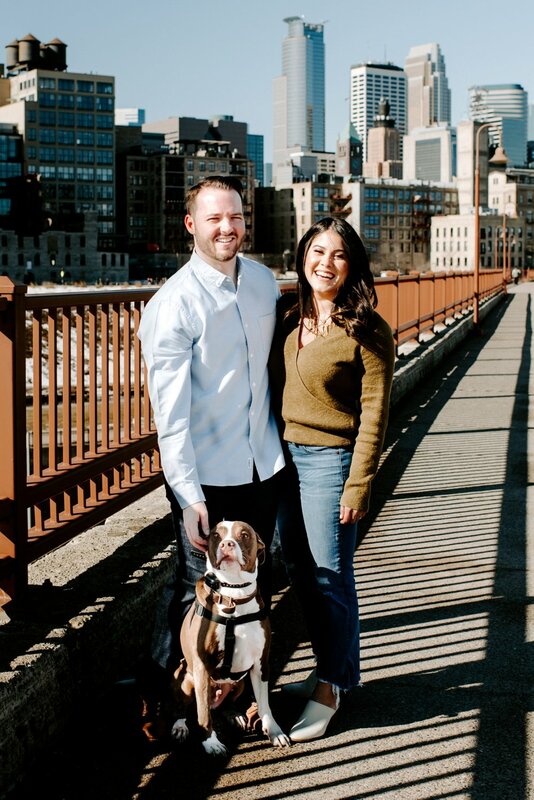 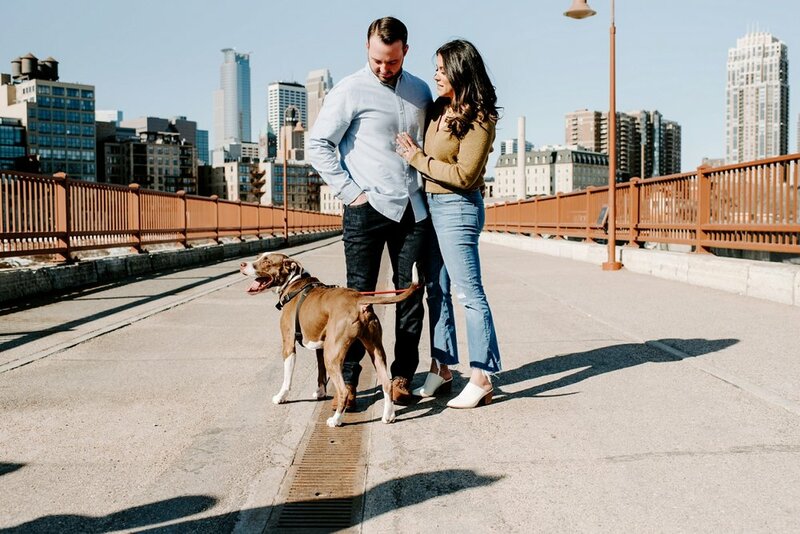 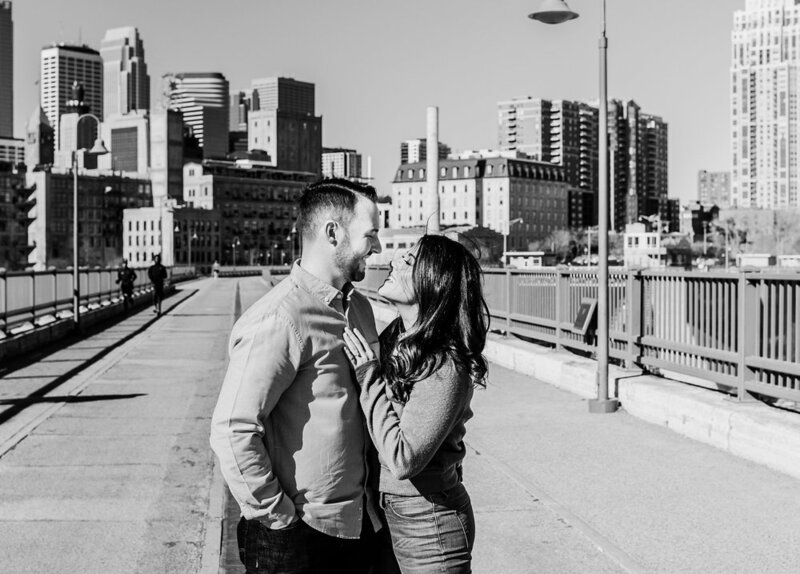 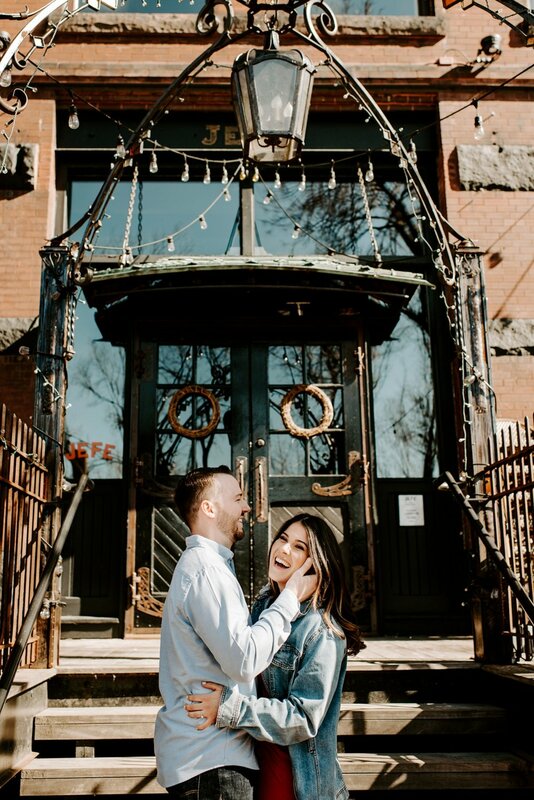 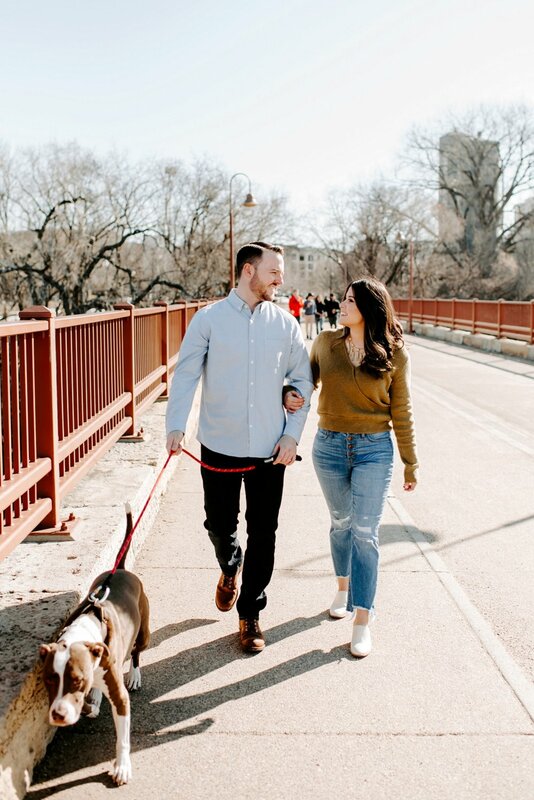 Ilyssa and Phillip live and work near the Stone Arch Bridge in Minneapolis, MN so naturally it served as the most perfect backdrop to their engagement story. 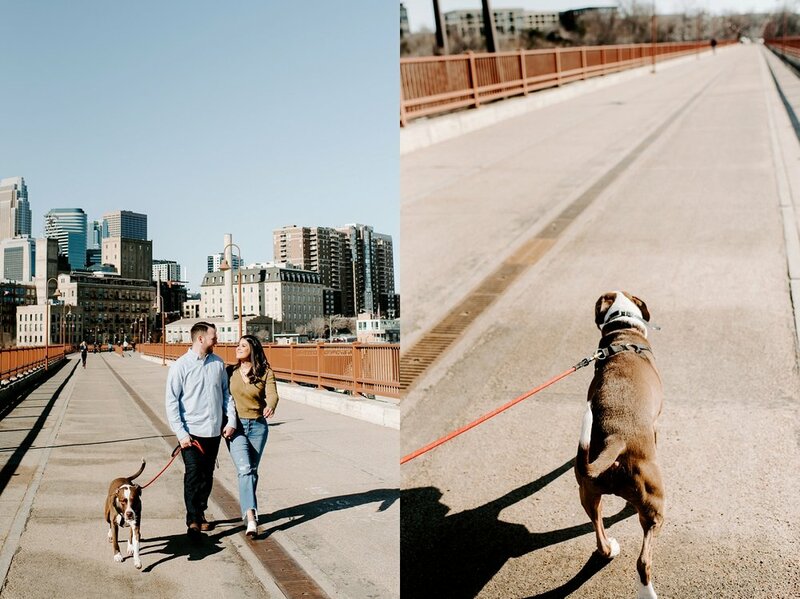 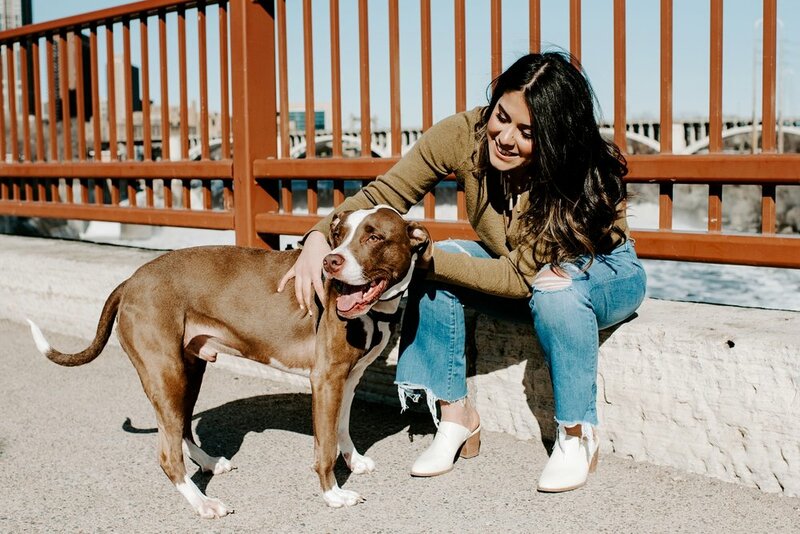 We’d been trying to get together since late last year for this session but timing just didnt pan out - and I couldnt have been happier that their session landed on the first WARM day in Minneapolis since last October! 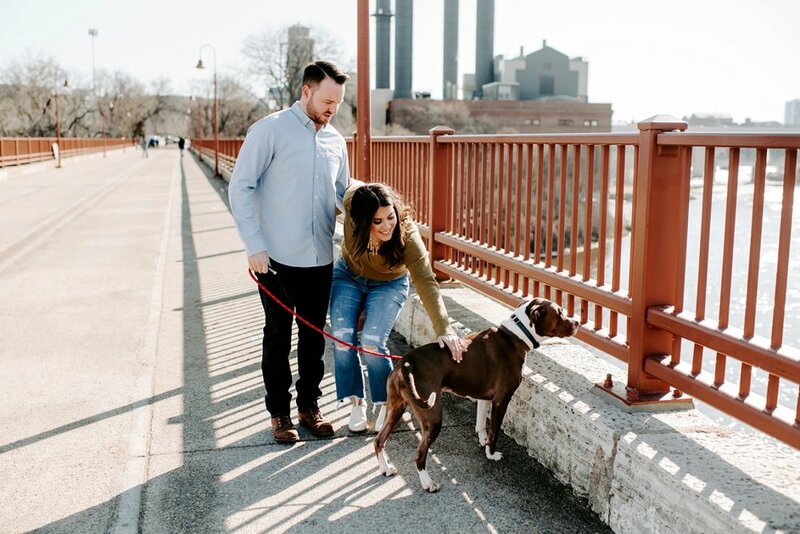 Ilyssa and Phillip - thank you SO much for running all over St Anthony Main with me - and Beau for being such a good boy!